This DC/DC PCCM will provide a nominal output voltage of 28Vdc, when external DC power is connected. Output power distribution is accomplished through branch output circuits that are independently controlled by commands over an EIA-422 data bus from the controlling computer, which also monitors the PCCM operational status. 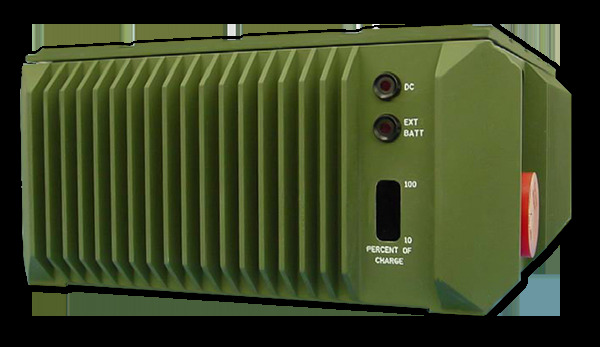 While the external DC power source is connected, the PCCM is also capable of providing battery charging for a 24Vdc Lead Acid battery configuration. When the DC power source is not connected and the battery is charged, the PCCM uses regulated DC power from the Battery to supply a nominal branch circuit output voltage of 28 Vdc. The PCCM also provides operator interfaces that control power selection and distribution to it’s external loads, as well as visual status indications.